Your West Seneca home is your castle. It protects your family from the harsh weather that is common during the colder months in western New York. It is also the image you show the world and you want it to look as magnificent as possible. With vinyl siding installation from Sunset Builders, you can make your home incredibly weather resistant and absolutely gorgeous at the same time. Sunset Builders has over 20 years of experience providing vinyl siding contractor services in the western New York area. When a Sunset Builders vinyl siding contractor provides work for your West Seneca home, you can be absolutely certain that the work will be completed quickly, at a reasonable price, and be of the highest possible quality. We take pride in the service we offer and always back it with a lifetime warranty. You aren't just getting a vinyl siding contractor with years of experience when you get vinyl siding installation from Sunset Builders, you are also getting some of the best products on the market. We only use highly durable vinyl siding that requires minimal to no maintenance. We also offer a wide variety of color options ranging from glacier white to mystic blue to tuscan clay. And if you prefer a grain finish, we even offer colors like autumn red and arbor. Our product selection is chosen specifically with the harsh weather of western New York in mind. The Prodigy Next Generation Insulated Siding line has the thickest foam in the industry, which helps keep your home warm even during the coldest of winter storms. The Charter Oak Exclusive Tribeam Design is incredibly durable, capable of withstanding even category 5 hurricane winds. Simply tell us what features, colors, and textures you want and we will install the best value siding for your money. 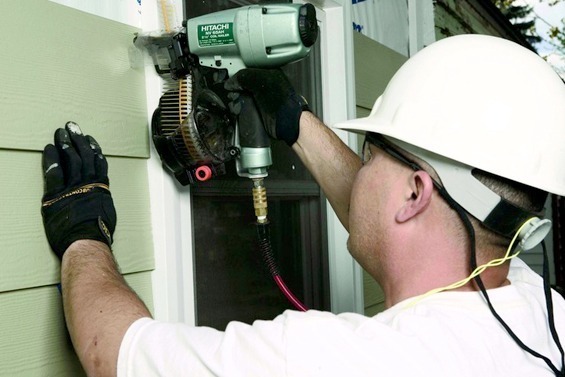 Whether you are building a new West Seneca home or simply want a change of pace for your current home, a vinyl siding contractor from Sunset Builders will provide the professional advice and installation services you need to beautify your home while protecting it from the elements. Contact us for more information.